Criminal records cannot be accessed by normal means if they have been sealed. Even during a background check these records are not to be seen. Only a court order can make these records accessible. On the other hand, when your records are expunged, it is as if the crime never happened. They become unavailable for anyone to reach including by court order. An expungement clearly wipes out the existence of records. There is no evidence left that the records existed or you were ever convicted of any criminal offense. Meanwhile, a sealed record still exists though no one can obtain it through traditional means. Opposite to what people believe, a criminal record does not go away over time. Instead, it remains public until a judge orders it to be sealed or expunged. Serious problems are derived from having a criminal case. A criminal conviction can hurt you in many ways. Every country has its own rules about visitors with criminal records, like the United States, some types of crimes are not admitted. Customs officials are able to use the CPIC system to determine if an individual has criminal records. Employers and landlords commonly require applicants to submit a criminal record background. It you have any criminal record; this could prevent you from being hired or approved for a rental. Also, a criminal record can impact you if you want to get insurance, adopt a child, purchase a firearm, apply for a loan, etc. There are instances when our criminal record may qualify for sealing or expungement if you were arrested and not convicted of a crime. If you have been guilty of a criminal offense under specific sections. If you have committed any crime or offense, such as reckless driving or driving under the influence, some exception of driving with the license suspended, cancelled or revoked are classified as criminals. You have a past criminal record. You have been registered as a sexual offender or predator and you were found guilty. You have another pending petition to seal or expunge before a court or competent jurisdiction. The overseeing of the court responsible for the criminal action or nature of the arrest related to the case has not been executed. In many states, people who have been arrested or convicted of drug offenses or misdemeanors may get an easier way to cancellation. Drug Crimes: Many of those arrested for drug offenses qualified for diversion programs. These programs commonly award points in its favor for the destruction of records after successful completion. Juvenile Offenses: People who were arrested or sentenced as juveniles may have easier ways to get the criminal record expunged or sealed. The request of removal or sealing of criminal records as well as the restoration of civil rights and the right to own firearms can become a terrible headache. When hiring a criminal attorney this would work with you to file the petition with the appropriate documentation required, advocate in your favor, would appear to court for you and could answer any objection from the prosecutor. The legal system is designed in such a way that even if you have knowledge it is almost impossible to defend yourself. Criminal defense lawyers are trained to spot specific arguments and factors that could even invalidate any potential crime, or even reduce your sentence or remove some or all of the charges. Our criminal defense lawyers represent clients throughout Florida. 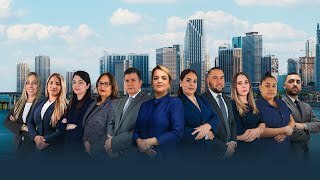 Conveniently located in Miami, Gallardo attorneys know the criminal laws and the judicial system which is why they work hard on every case. Any judicial record can influence your life. Gallardo Law Firm provides representation to individuals and corporations facing criminal charges in South Florida. What should I do to get sealed or expunged a criminal history record? With the aim of having sealed a criminal record or set aside in the State of Florida, a person must first apply to FDLE for a Certificate of Eligibility. The Certificate of Eligibility does not signify that your criminal record was requested to sealing or expunging. It shows only that you are eligible for the type of resource being requested. The judicial record of a child may also be eligible for other types of expungement. Where is provided the application for Eligibility Certification? The Eligibility Certification is provided by the FDLE to the Clerk of Courts in all sixty-seven counties within the Florida state. The application packages can be gathered from the criminal division from the entire county courthouse along the state. If the charges against me were dismissed, why do I still have a criminal record? Because criminal records are known to the community excepting that the record is sealed or expunged. That record was created when the person is arrested and finger prints taken. If my civil rights have been restored, will my criminal record disappear? No, individuals with previous conviction of a felony are not eligible for a seal or expunge of the criminal history records. If I had a criminal record sealed or expunge in another state, will I be able to have it sealed or expunged in the state of Florida? Will the Florida Department of Law Enforcement notify every agency involved in my case? Yes, The FDLE will send a letter to all the agencies involved with your case notifying that they have agreed with the order with the seal and expunge of the case. Who qualifies for sealing or expunging? A person, who has not until that time expunged or sealed and has not been convicted as an adult, may meet the requirements or qualify. However, there are several exceptions. For example, in the state of Florida, there is automatic juvenile expunction of juvenile records at 24 or 26. Can I have all my arrest records sealed after been arrested several times but never pled guilty or been convicted of a crime? This is not possible in the state of Florida since this state doesnt support innocent until proven guilty. Even when you are found not guilty, Florida only allows you to petition to seal or expunge only once in your lifetime unless the new arrest is linked to the initial arrest.